All of ARMA’s corporate partners are governed by ARMA’s corporate partnership policy. To read the policy click here. 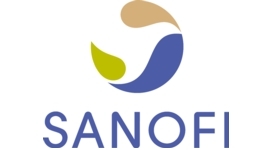 Read about Sanofi on their website. ARMA is a small charity, funded by membership fees and corporate support to enable us to deliver our vision and strategy. We are an umbrella body representing the breadth of musculoskeletal conditions and professions. We accept support from partners in line with our corporate partnership policy which is designed to ensure that we maintain our independent voice. Everyone with MSK conditions receives appropriate, high quality interventions to promote their health and well-being in a timely manner. Affect around ten million people in the UK. Are a major cost to the health service – the third largest programme budget for the NHS. Are the leading cause of years lived with disability in the UK, impacting on people’s ability to live full active lives and contribute to the community. Are one of the two main causes of sickness absence, impacting on employers and the economy. Are often preventable, or can be improved through self-management, physical activity and diet. Are associated with many other conditions, including mental health problems. Good musculoskeletal health underpins our ability to live well and independently. Musculoskeletal health concerns us all. Engagement with debates around MSK healthcare and policy. Demonstrating thought leadership in an important area of health policy. Promoting your brand to ARMA audiences which include clinicians, policy makers and commissioners. There is a range of ways corporate partners can support ARMA’s work. Talk to us about which option might best meet your needs. Corporate partnership framework – This is the best option if you want an ongoing relationship with ARMA. Partnership lasts for one year and includes different tiers of benefits. These benefits are flexible so it can be adapted to meet the needs of a range of different companies. Webinar sponsorship – Promote your brand by supporting ARMA’s work to spread good practice in MSK health. We have a range of topics which appeal to different audiences and we are open to suggestions for good practice we can feature in future webinars. This is a good option if you want to reach an audience with an interest in a specific aspect of MSK health. Includes recognition in the webinar, including the recording, and through our social media and other promotion. Event sponsorship – Promote your brand by supporting ARMA’s work to deliver improvements and engage with MSK health policy. We have a range of events, including our flagship annual lecture and more in-depth roundtables. This is the best option if you want to associate yourself strongly with a specific area of MSK health. Past events have focussed on health and work, physical activity and MSK health, mental health and MSK. Ask us about our future plans and how they might work with your priorities. Includes presence at the event and recognition on publicity, promotion and any post event reports or recordings. MSK Knowledge Hub – promote your brand by supporting ARMA’s on line one stop shop for information about musculoskeletal health resources. Aimed at professionals, the hub allows searching by clinical and cross cutting themes and brings together resources from many different organisations. Promote your company on the hub for profile with a range of musculoskeletal professionals or exclusively on one of the search terms for a more specific audience. Newsletter sponsorship – Sponsor one or more issues of our monthly e-newsletter. If you want to introduce your company to the ARMA audience at a low cost, this could be the option for you. Contact us to discuss how you might be able to benefit from partnership with ARMA.